CIFF KIDS is thrilled to continue the positive development of the trade show in Forum Copenhagen and this season it runs simultaneously with CIFF and CIFF RAVEN – 5-7 August. “There is a number of buyers who visit both fairs and we are happy to be able to accommodate them with the same dates. Also we look forward to new and exciting expansion of the CIFF KIDS universe with a second floor and special projects yet to be unveiled.” – Mads Emil Møller. 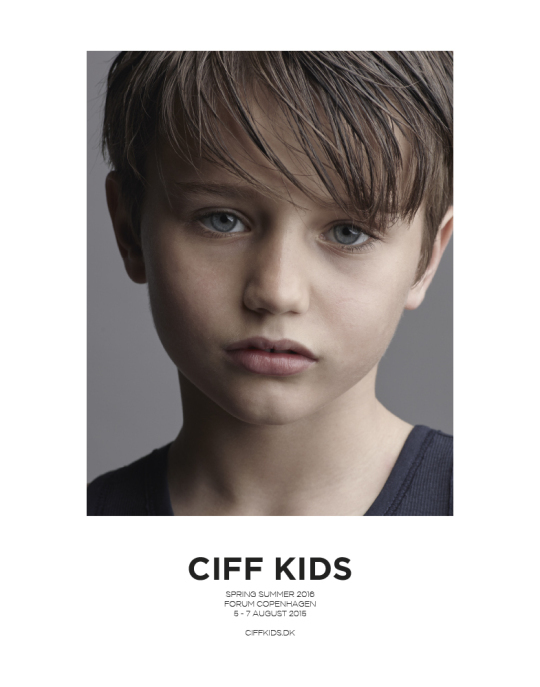 CIFF KIDS will for the Spring/Summer campaign team up with the renowned kid’s wear magazine. The partnership is yet another one to highlight the progressive profile of the trade show. Styled by fashion expert Catrin Hansmerten, the campaign will be photographed by Achim Lippoth, eminent photographer, publisher and editor-in-chief of the kid’s wear magazine. The much anticipated project is foreseen to have a very distinctive touch and an ethnic mix that will contribute to some remarkable results. kid’s wear magazine brings together the world’s best photographers, new and established writers that interpret today’s children’s fashion, lifestyle and culture on over 250 pages. The paper has an international outlook, international readership and regularly receives major awards. Thus, kid’s wear is, indubitably, a de rigueur partner in CIFF KIDS’ goal to stay the Northern Europe’s leading destination for children’s fashion.